In August, we were somewhat homebound when we visited family in Wisconsin because my son was recovering from a bad bout of pneumonia. 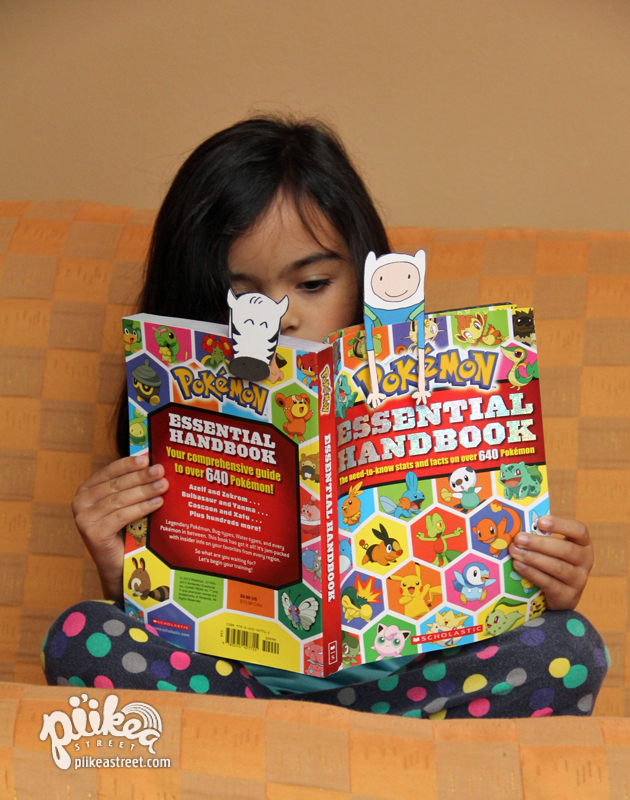 We don’t subscribe to cable at home and discovered several fun shows during our stay, like Adventure Time. Now that we’re back home, I’ve been trying to fill the void with other fun things. I drew and colored in some bookmarks of my kids’ two favorite cartoon characters. 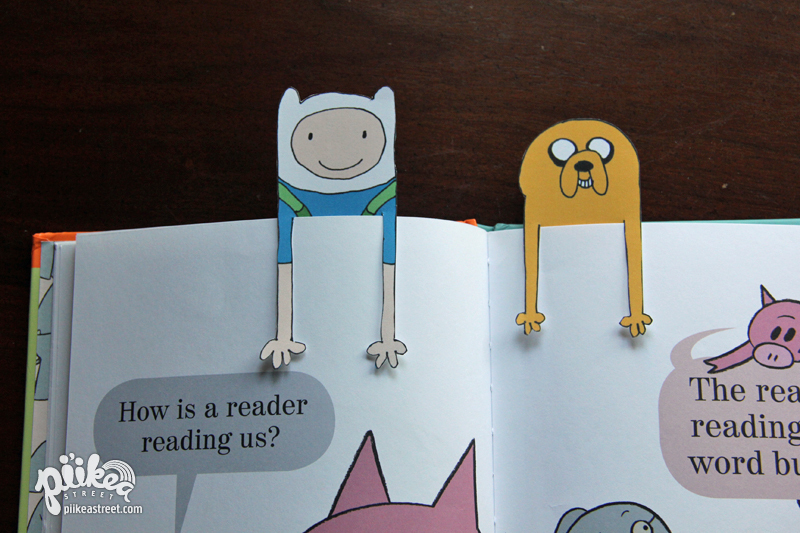 They are pretty stoked about their bookmarks so I decided to make several more to share. 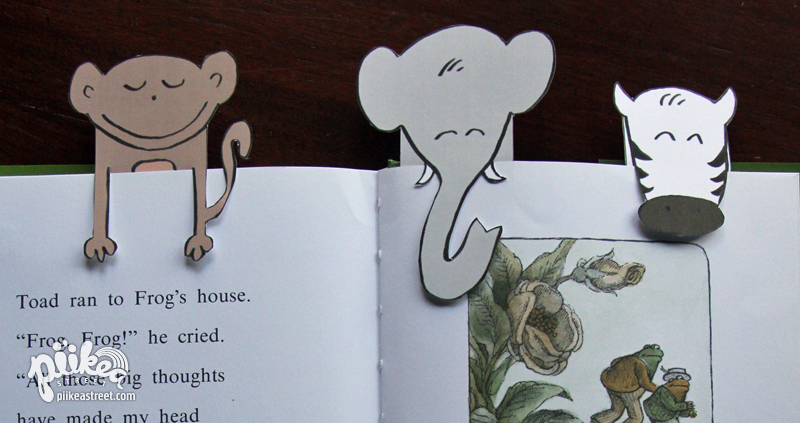 You can cut along the animal’s outline (above) or use a craft knife to use your bookmark like a paper clip (below). 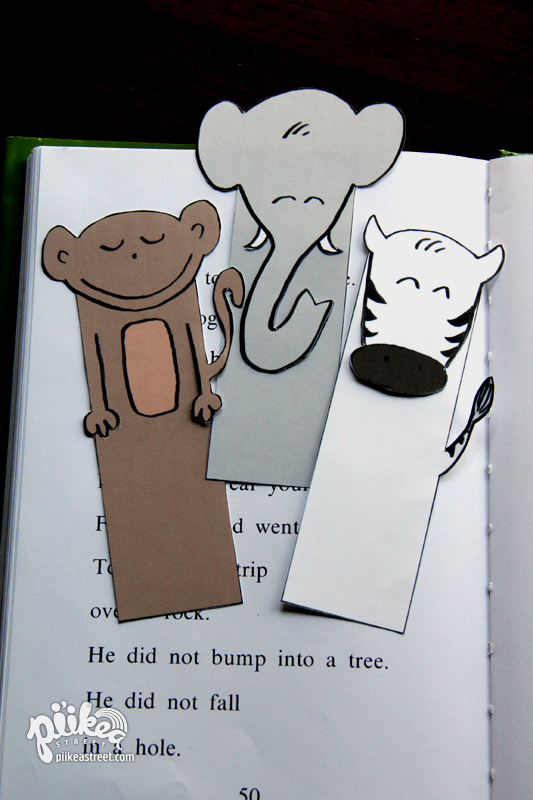 I’ve also included a black and white copy for download in case your kids would like to color their own bookmarks. Your animal bookmarks are amazing. Thank you so much for sharing them!